Out of millions of prospective students, who dream about studying abroad, Salman made his dream come true last summer. 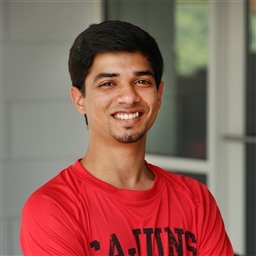 He sent six applications to different universities in the United States, got accepted to 5 of them, and started his masters at the University of Louisiana at Lafayette, where he now studies with a full scholarship. 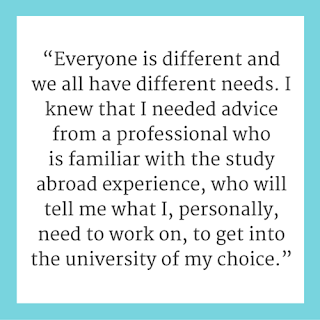 Here's your chance to hear his success story, get inspired and get tips for studying abroad. Salman has been to over 6 countries but still characterizes himself as being raised in a very typical Bangladeshi family. He believed that after finishing his first degree in engineering, in Bangladesh, he will go on to find a typical job in the field, and pursue a “normal life” in Bangladesh. Fortunately for him, things went better than planned. During his undergraduate degree, Salman started working in a lab in Bangladesh, to gain work experience. He worked in research with Dr. Nadim Khandaker, who completed his PhD in a reputed US university. Although he wasn't a straight-A student, he was very dedicated to his research and his team was very happy with his work. When he finished his first degree, his professor inspired him to get his advanced degree in the United States. Salman's professor knew from experience, that Salman’s career can take a huge leap if he did his masters in the US. Salman started the process by searching the web for programs of his interest and figuring out the requirements necessary for applying. He found out that there are a lot of parameters to take into consideration when applying, and that it really isn't an easy task. He needed a strategic plan! First of all, he found out about the GradTrain admissions predictor, that anlayzes you background automatically and helps you choose the right school that you can get accepted to. He put in his required field of study and schools. He found and was able to significantly narrow down his choices. Next, instead of spending many more hours researching what he should do to apply, he started finding out who can help him. While all his friends were signing up to agencies which filled out applications for them or helped them retake their tests, Salman decided to try something different. 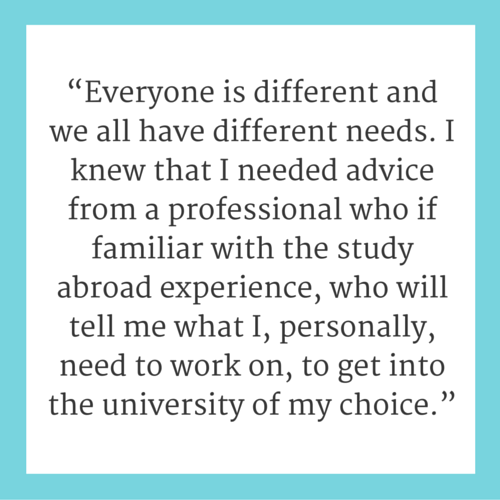 He found GradTrain, and began taking video sessions with a GradTrain coach who went through the study abroad process who could help him. Salman had many questions, which only someone who went through the process would know the answers to. One of the main things that Salman needed advice on, was whether he needs to retake his tests to have a higher chance of getting accepted to a university. 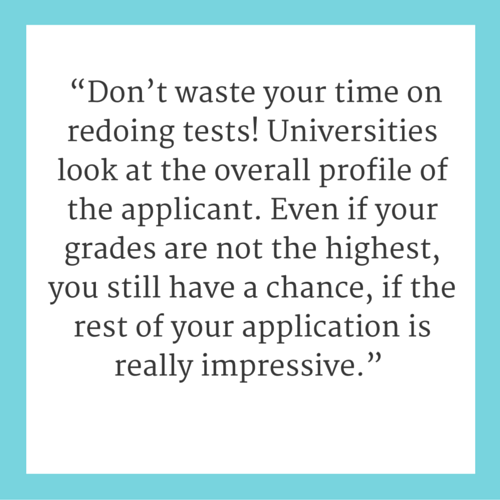 Now, when asked to give advice to international students, he says: "Don't waste your time on redoing tests." His coach helped him create a strategic plan to focus his attention in the direction that best fits his background and ambitions and with the coach’s guidance, Salman upgraded his application package. 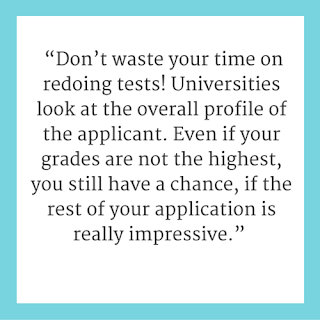 Salman advises to look at your overall profile, and find out what your weaknesses and strengths are when applying. The coach also helped him better understand what US universities are looking for and what to emphasize or de-emphasize in his essay. Following his success and based on his positive experience with GradTrain, after getting accepted to the university of his choice, Salman requested to become a GradTrain coach himself, to help the future generations of international students who want to follow in his footsteps.. You can get advice from Salman by scheduling a 1:1 meeting with him.